How cute is this adorable dress from the Mint Julep Boutique. 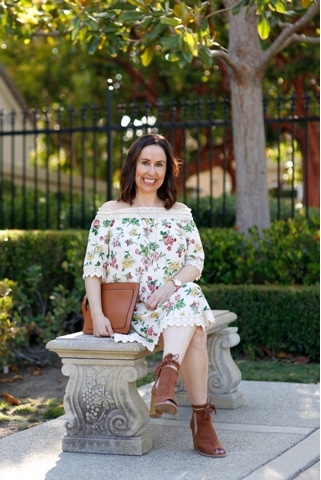 This Graceful Garden dress has this amazing boho fit. 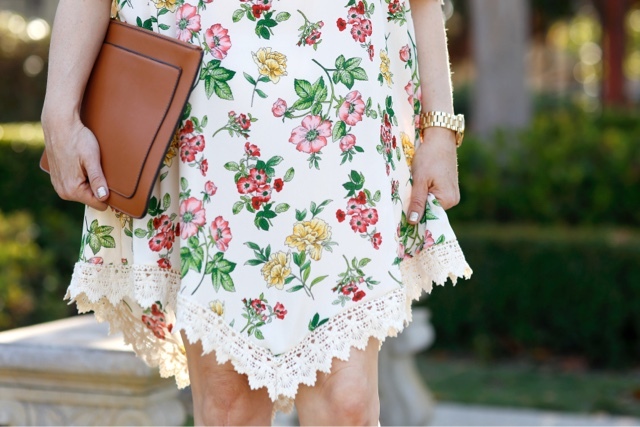 All that crochet and jagged hemline are perfectly paired with this style. 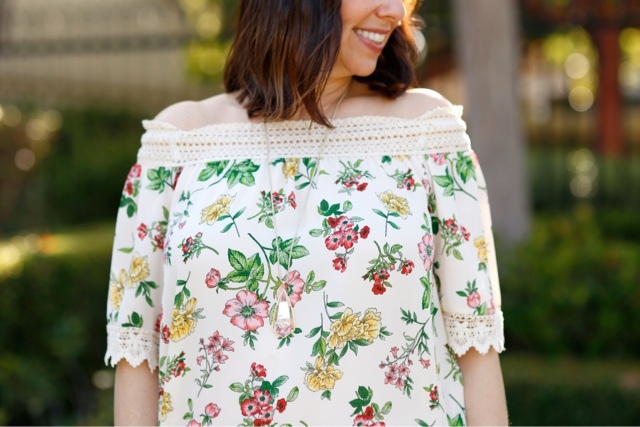 And I just love this fab floral patterns and am absolutely obsessed with the off the shoulder detail. I think it is the perfect dress to wear to an outdoor summer event. I decided to pair it with these fun camel booties and this perfect clutch. 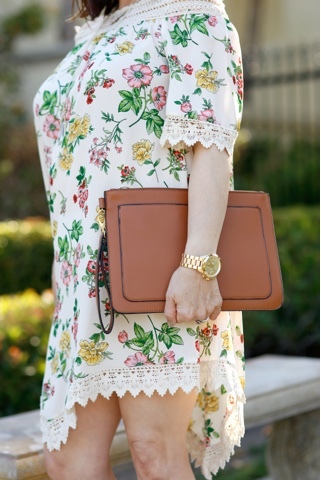 The perfect dress for a perfect summer day. So don't forget to check out the Mint Julep Boutique. I know you will find that something special summer piece to add to your wardrobe. Thanks to Gabi Wells for photos and happy reading!!! !